Close to the Copenhagen International Airport, the affordable 4 star Tivoli Hotel in Copenhagen is also located near the Tivoli Gardens, the City Hall Square, and the Ny Carlsberg Glyptotek. Additional nearby points of interest also include the National Museum of Denmark. The Tivoli Hotel features a restaurant, breakfast service, lunch, dinner, and Sunday brunch. The hotel has 2 dining venues and provides room service. In addition to an indoor pool and a children's pool, the great value Tivoli Hotel provides a spa tub, a sauna, a steam room and a gym. Guests at the Tivoli Hotel enjoy free admission to Tivoli Gardens included in the price of the stay (only in Tivoli opening period). A complimentary shuttle bus takes guests from the hotel straight to Tivoli gardens skipping all the queues. 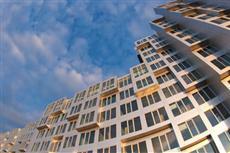 The Tivoli Hotel also has complimentary wireless Internet access and an indoor swimming pool. Meeting facilities include conference rooms, a ballroom, exhibit space, and banquet facilities. Tivoli Hotel also offers a bar/lounge. The lodging may provide extended parking privileges to guests after check-out(surcharge). Tivoli Hotel is a smoke-free Hotel.